Mario Batali belongs to the exclusive club of chefs who have been able to parlay their culinary skills into celebrity status. Also a restaurateur, author, and TV personality, Batali once sat atop an empire comprising of several restaurants, cooking shows, and bestselling books. All this, however, came crumbling in 2017 when Batali was accused of sexual assault and harassment by several women. So, where is he now and what is he up to? The answers and more will be provided below. In Seattle, Washington on the 19th day of September 1960, Mario Francesco Batali was born. His father’s name is Armandino Batali while his mother’s name is Marilyn. His mother is French and Canadian while his father is Italian. Batali first developed an interest in cooking due to his family’s influence. Anybody who knows anything about Italian families will know that meal times is a big affair for them. 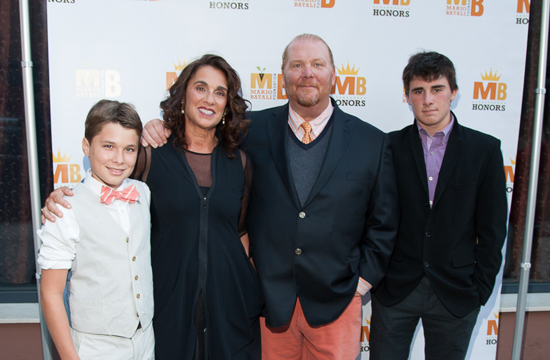 The Batali family, both immediate and extended, was no different. Mario Batali had his high school education in Spain before returning to the United States where he studied at Rutgers University New Jersey. In college, he studied Spanish Theatre. He also worked as a cook in a sandwich shop. Upon graduation, Batali headed to a cooking school in London known as Le Cordon Bleu. He was however not satisfied with his studies. He had wanted a more hands-on training and went to cook under the tutelage of renowned chef, Marco Pierre White. Batali, later on, moved to Borgo Capanna, a small Italian village, where he studied the fine art of traditional Italian cuisine. After three years in Italy, Mario Batali returned to the states in 1993. He joined forces with Stephen Crane and together, they set up a small Italian restaurant named Po. After five successful years at Po, Batali went into partnership with famed restaurateur, Joe Bastianich. They set up the Batali & Bastianich Hospitality Group under which they established several successful restaurants. Their very first restaurant was Babbo Ristorante e Enoteca, located in New York. They opened it in 1998 and it was named the best new restaurant that same year. The restaurant now has a Michelin star. The renowned chef is married to Susi Cahn. Susi is the daughter of Miles and Lilian Cahn. Her parents founded the popular handbag brand, Coach. The brand was loved for its trendy but practical purses. The Cahns sold their fashion brand in 1985 and are now involved in the making of goat cheese. Batali and Cahn met in 1992 at a food event in New York. His wife had come there to represent her family’s goat cheese company. They later started dating and got married in the Caribbean in 1994. The couple has two children together. They are Leo (born in 1996) and Beno (born in 1999). The children are somewhat following in their father’s footsteps. They have a cookbook to their name already. The book titled, The Batali Brothers Cookbook, hit the shelves in May 2013. Batali ranks amongst the richest chefs in the world with a fortune worth $25 million. Asides his restaurants, Batali also has a stake in the Eataly chain in the U.S. Eataly is a franchise that comprises of a grocery shop and a restaurant under one roof. The first outpost opened in Chicago in 2010. Another veritable source of income for the chef is TV shows and books. Batali’s debut TV show was named Molto Mario. The show featured Batali cooking for guests while regaling them with interesting stories about Italian food. The show ran from 1996 to 2004. Other TV shows of his are Iron Chef America, Ciao America, and The Chew. Batali has also authored no less than 11 cookbooks. They include the award-winning Molto Italiano: 327 Simple Italian Recipes (2005) and the NYT bestseller Mario Batali Italian Grill (2008). He must have earned significant royalties from these books. Where Is He and What Is He Doing Now? 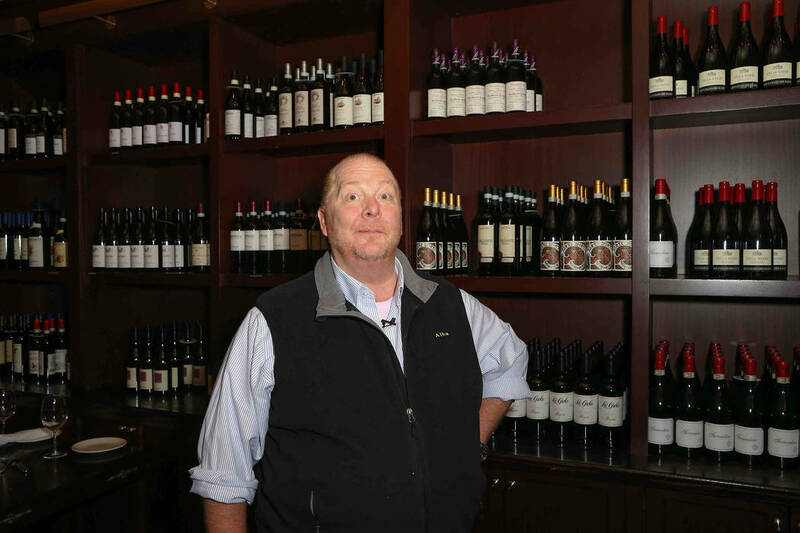 In December 2017, several women made allegations of sexual assault against Batali. The allegations were published on the popular food industry website, Eater. Some of the accusers were women who had worked for him while others were random people. Most of them accused him of aggressively groping them. Two, at least, accused him of drugging and assaulting them. The chef issued an apology but the scandal made him a pariah in the food industry. It led to the cancellation of his TV shows. He was also forced to sell his stake in the B&B Group. Since this scandal, Mario Batali has kept a low profile. He was previously based in New York but is now residing in his family’s summer home in Grand Traverse Bay, Northport Michigan. Batali is also trying to clean up his image. He has volunteered to teach cooking classes to refugees in countries such as Rwanda, Iraq, and Greece.